There are many people in the world who want to lose weight and finding ways to stay fit, but without keeping a tab on the daily stats how can you be sure where you stand in terms of fitness and how you are proceeding towards your goal and what measures you need to take to help you reach the goal within a set time. It is a fact that when anyone start taking steps towards a fitness, they need to know a lot about their health and well being and for all these, fitness enthusiast needs a device that keeps a tab on their health and when we talk about a device to track the fitness level, what is more appropriate than fitness watches. So, what are fitness watches and what do fitness watches do? These are the basic questions asked by the people who have never tried a fitness tracker, nor do they know the benefits of using fitness trackers. Most of the people never tried a fitness watch and some even do not know about a gadget named ‘fitness tracker’, but to be honest, most of the fitness enthusiasts really need a suitable and the best fitness tracker depending on their needs. What Do Fitness Watches Do? What Are The Benefits Of Using Fitness Trackers? As we all know when we go out to buy anything, we have a huge range of products manufactured by various brands having different features. Same goes for the fitness watches. The best part of using a fitness watch is that it can be worn simply on the wrist to keep a tab on all the activities you take part in without getting any mark on the wrist. Fitness watches do have a lot in store like almost all the fitness trackers are capable of tracking heart rate that becomes the basis of tracking other activities such as calories burned, steps, distance, etc. Some fitness trackers have the built-in GPS, but if you are looking for GPS, then Smartwatch should be your priority as in terms of facilities and features, smartwatches are better than fitness trackers and when you need more facilities and functionalities, you will definitely pay more. That’s the reason fitness enthusiasts who need to keep a tab on all their activities without needing extra features prefer fitness watches. There was a time people use to wear chest straps to measure heart rate, but that was really uncomfortable. With the advent of technology, now we have fitness watches that look really good on the wrist and match up with your style quotient. So, now you know what do fitness watches do, but does it really work? The answer to this question definitely depends on the brand you pick. Some popular brands that have been selling best fitness trackers are Fitbit, Garmin, Samsung, and Huawei. These are known names in the fitness industry. If you pick the best fitness tracker from the best brand, then it will work really well and keep you informed about all your moves. Most of the fitness trackers available on the market have the PurePulse technology that keeps a tab on your continuous heart rate and also monitor the resting heart rate when you are sitting idle. As you are wearing the fitness tracker on your wrist, it keeps checking your pulse and recording your heart rate based on your pulse. So, whatever and however you do throughout the day, the fitness tracker keeps a close tab on it. The benefit of keeping a tab on your heart rate 24 x 7 is that you know what level of intensity you need for the next workout session and how you are progressing towards your goal. 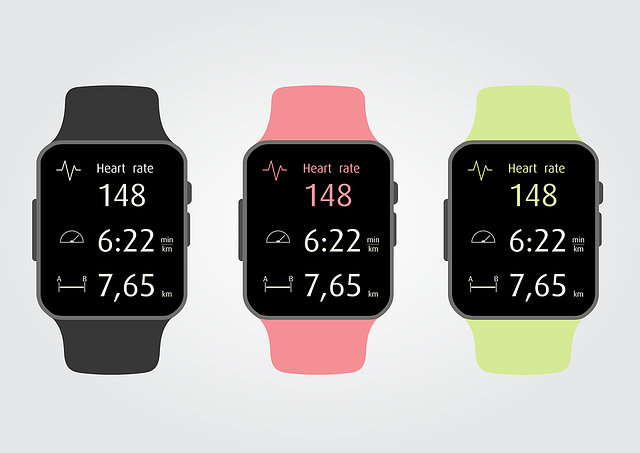 So, tracking the continuous heart rate is one of the best benefits of using fitness trackers. Apart from keeping a track of the continuous heart rate, fitness trackers are also capable of tracking all day activities. Most of the people do not exercise much, but they do lots of activities throughout the day that can lead to fitness goals and you will do not want to miss any chance that can help you reach your goal. When you are wearing fitness tracker, it tracks all day activities such as calories you have burned, steps taken, distance covered, and active minutes. Most of the fitness trackers also keep a tab on floors you have climbed, which is definitely an added benefit as we all know that climbing floors require some extra effort and keeping a track of this activity will surely help you track how much calories you have burned while climbing floors. In this way, you can also adopt a habit of taking the stairs rather than the lift, which leads to weight loss, a step towards your goal. Just like health or activity tracking is the common benefit of using the fitness tracker, sleep tracking one of the many benefits. Most of the fitness trackers are good for tracking sleep stages. The time you spent sleeping is tracked by the fitness watch and how much time you spent on sleep stages such as REM, deep, and light sleep is also tracked. It improves the quality of your sleep and wakes you up with a silent alarm so that you can take as much sleep as you need to stay fit. You can find the sleep tracking feature in many fitness trackers available on the market. The automatic exercise recognition is another benefit of using fitness tracker as you do not need to log your activities as it will detect it automatically and note it. Whether you are running, walking, biking, performing cardio, using elliptical, or any other activity, the automatic exercise recognition mode keeps a tab on everything. Most of the fitness trackers are water-resistant, which means you are allowed to go out for a walk or jog even if it’s raining. Being water-resistant does not mean you can go out for swimming or start taking shower as it can damage the watch. Swim lovers who are fond of swimming and want to monitor this activity should select the fitness watch that is not only water-resistant but also swim-proof. Every watch has different capacities to be submerged in the water. Some fitness trackers are swim-proof up to 100 meters and some are around 50 meters. It would be useless to look for a swim-proof watch if you do not want to go swimming as it only costs you more bucks. Among so many benefits of using trackers, the reminder to move mode is definitely a good feature found in most of the fitness trackers that help you reach your goal and keep you motivated by showing the daily progress to reach the target. Reminder to move mode, as its name suggests, it reminds you to move. It keeps reminding you to take 250 steps every hour and displays how many more steps you need to take to reach your goal. This is a mode you can set yourself according to your schedule. Reminder to move mode never keep on disturbing you as you have the option to switch it to ‘do not disturb’ mode if you are busy, but if you are not, then it is recommended to keep the mode on and take 250 steps as it is a progression. The guided breathing session is also a benefit of using fitness watches. The purpose of this function is to calm down your body and make you feel relaxed. Moreover, it reduces anxiety, stress, and also lowers blood pressure. This feature is found in many of the fitness watches, which is really useful as when one is moving towards a healthy and fit life, they need to get rid of anxiety and stress as these are the common reasons for weight gain. In this article, we have discussed what do fitness watches do and the benefits of using fitness trackers. Fitness watches are designed for the fitness fanatics who want to keep a tab on their heart rate as well as other activities such as calories burned, steps, distance, floors climbed, and active minutes. The fitness watches are also good for sleep tracking, swim tracking, automatic exercise recognition. To motivate you to move towards your goal, the fitness watches feature reminder to move mode. Guided breathing session is another mode that is worth noticing. These are the benefits of using fitness watches.